with 78% of people watching videos online every week (1). supports HTML5 and can help manage your site while offering continued connectivity. Choosing a video platform that will allows for easy customisation while offering reliable service is imperative for taking your embedded videos to a whole new level. Use customer testimonials – real people giving information about their experience helps others builds confidence in your brand and portrays you as a reliable and real company. Increase company information retainment and percentage of the video viewed – Video is engaging to consumers, with 65% of consumers who watch your video watching at least ¾ of the way through. Furthermore, 80% of viewers are able to recall what a video was about 30 days post watching a video (3). Your Video Hub or custom HTML5 video player can be accessed on all devices and in all Internet ranges. This means no blackout periods – your customer can always see your videos. You won’t need to worry about intolerable video buffering with VidCorp, as we use adaptive bit rate streaming. Our video players are completely customisable – from the buttons, look of the video itself and front thumbnail image of the video before it is played—each aspect is completely created from your needs and preferences. Can search for videos (videos from months ago are securely stored and easily found in the searchable video hub). Secure platform for your video storage and editing. No need to worry about your data getting lost or losing your edits. 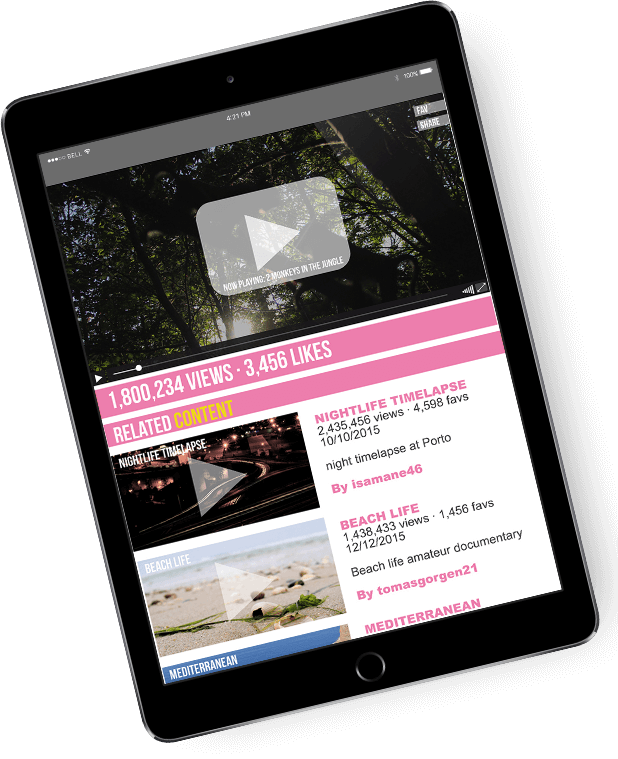 Receive an embeddable link for your own Video Hub media – This enables you to receive your own detailed stats and data without having to go through YouTube or other video platforms. Range of formats accessible (all playable formats can be readily uploaded). If you can play it in your VLC media player, it can be uploaded. This includes Video Hub and custom HTML5 video players too! Video enables your company to build a stronger marketing campaign for consumers, as well as increase communication amongst your staff. If you are just beginning your introduction with video marketing, let our experts at VidCorp answer your questions and show you with way.